The support for healing trauma is advancing. SOMATIC EXPERIENCING® (generally known as SE), a psychobiological approach to trauma resolution, is one of the most well known of these approaches. It was pioneered over 40 years ago by acclaimed American author and clinician Dr. Peter Levine emerging from his multidisciplinary study of stress physiology, psychology, ethology, biology, neuroscience, indigenous healing practices, and medical biophysics, together with over 45 years of successful clinical application. The SE approach offers a framework with which to assess how the incomplete instinctive fight, flight or freeze responses to overwhelming events are affecting a person’s ability to live well. The approach provides clinical tools to resolve these, often distressing, physiological states. 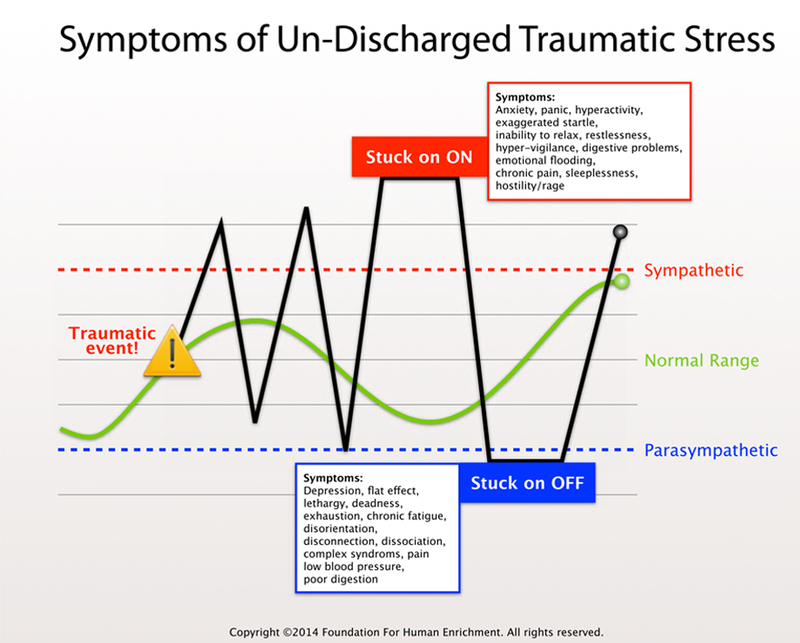 It has been acknowledged as a highly effective way to work with the impacts of recent trauma as well as the long-term impacts of traumatic experiences held in the nervous system sometimes over extended periods of time. Dr Peter Levine uses his famous “Slinky” presentation to demonstrate the effects of trauma on the nervous system, and his philosophy of treating trauma; which involves slowly releasing (or titrating) this compressed fight-or-flight energy a bit at time to give the individual the ability to reintegrate it back into their nervous system. SE is based upon the realisation that human beings have an innate ability to overcome the effects of trauma. The approach begins by connecting with a person’s capacity to survive overwhelming events and to build on the natural ability to re-establish well-being. SE® restores self-regulation, and returns a sense of aliveness, relaxation and wholeness to people who have these capacities compromised by the experience of traumatic events. The key is to see how each person carries the embodied remnants from our past that haunt the present in the form of overwhelm, fears, anger, dissociation or stress. These remnants are biological in nature.